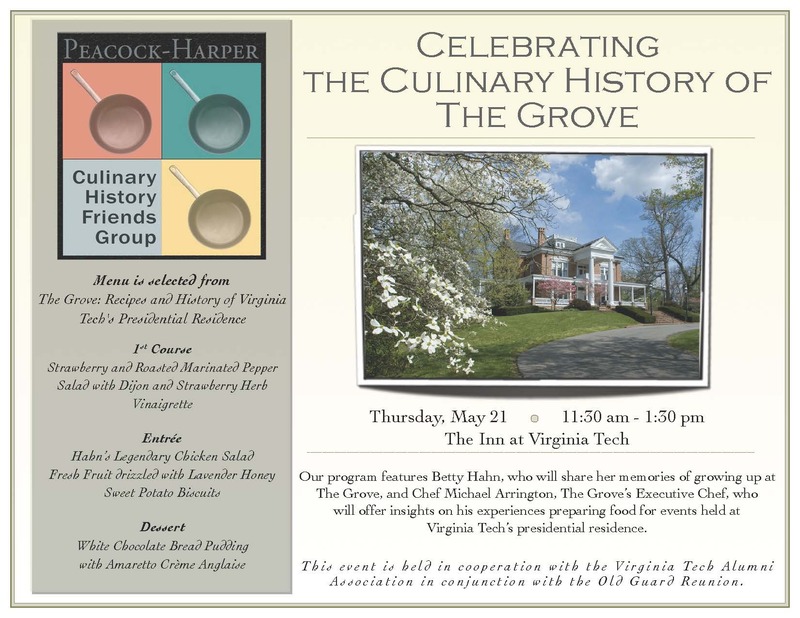 peacock harper culinary friends – What's Cookin' @ Special Collections?! Upcoming Event on December 5th! Hello all! While I work on a post for next week (this week really got away from me, but it involved fun things like teaching a one-time instruction session/show-and-tell ALL about the culinary collection! ), I did want to promote an upcoming event. If you’re in the SW Virginia area, you’ll want to know about this! 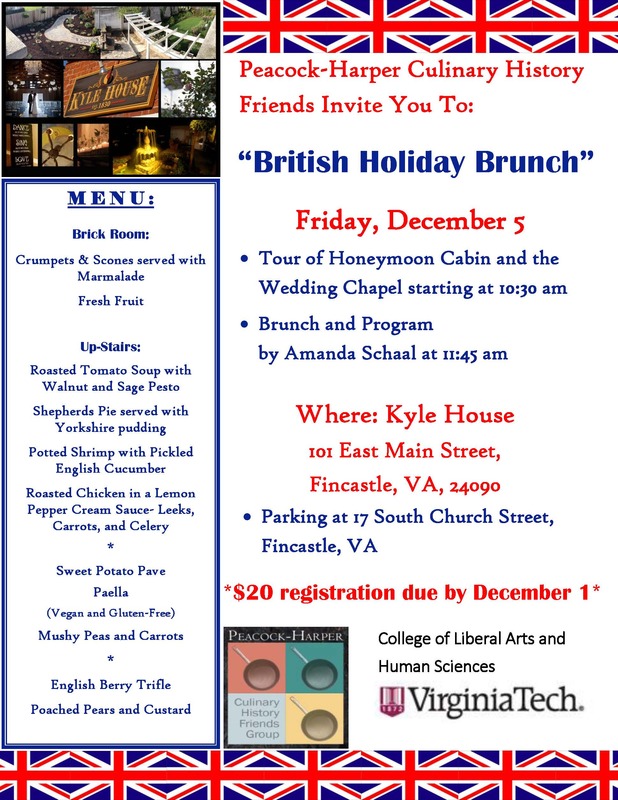 On December 5, 2014, the Peacock Harper Culinary Friends will be hosting a lunch and program: “British Holiday Brunch.” This event will be at the Kyle House in Fincastle, and includes a tour, brunch, and talk. This should be a wonderful event! Hello all! If you’re in the Roanoke area, you’ll probably want to know about an upcoming event! 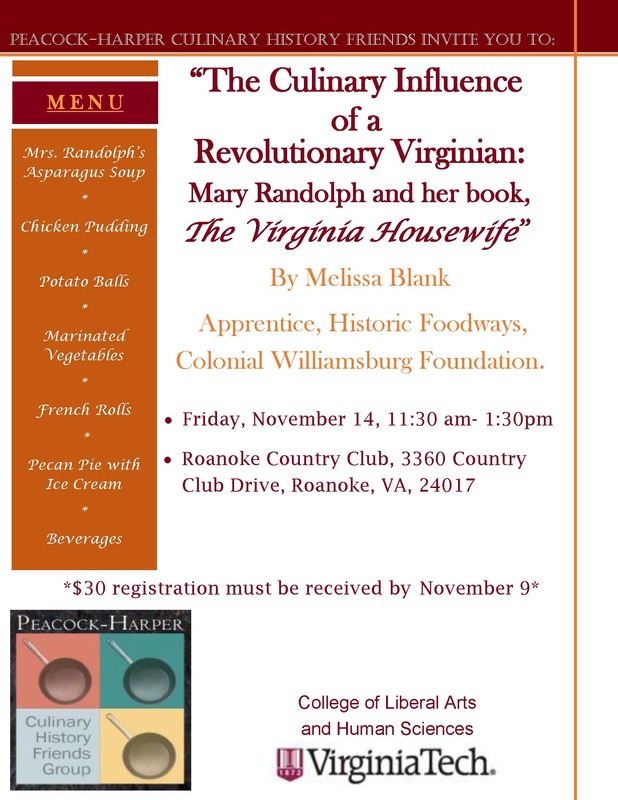 On November 14, 2014, the Peacock Harper Culinary Friends will be hosting a lunch and program: “The Culinary Influence of a Revolutionary Virginina: Mary Randolph and her book, The Virginia Housewife.” It will be held at the Roanoke Country Club from 11:30-1:30. Please note that you need to register for this event in advance (registration form is below the flyer). 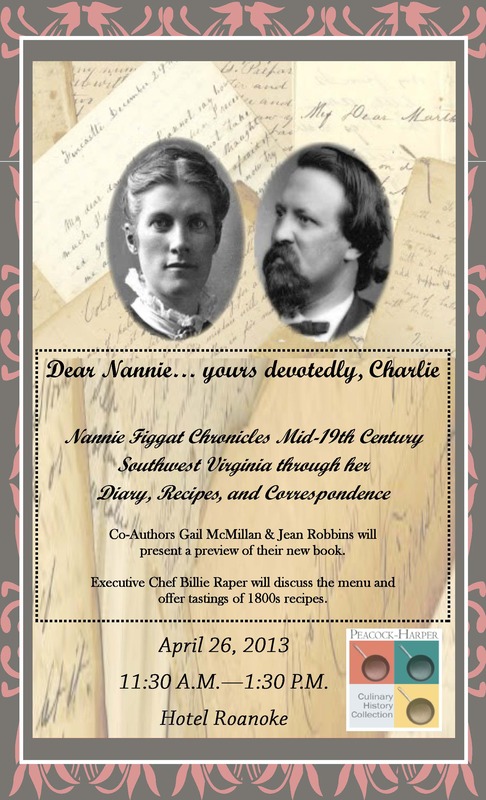 We’ve talked a lot about Mrs. Randolph’s book on the blog because it’s such a great piece of culinary history for Virginia. This should be a wonderful event! Please note: You do need to register in advance, by November 9, 2014! Reminder: Peacock Harper Culinary Friends Event! 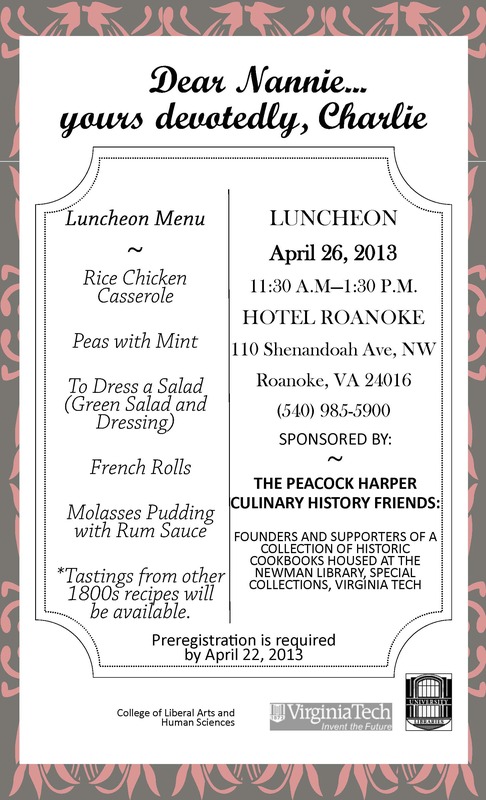 The Peacock Harper Culinary Friends have a wonderful spring event planned for April 26th! The flyer is below. Please note: Pre-registration is required for this event–you can view and print the form here: Dear Nannie Registration Form. Pre-registration is due by Monday, April 22nd. Upcoming Peacock Harper Culinary Friends Event! The Peacock Harper Culinary Friends have a wonderful spring event planned for April 26th! The flyer is below. Please note: Pre-registration is required for this event–you can view and print the form here: Dear Nannie Registration Form. Due to overwhelming interest, the event on October 12th is SOLD OUT! The Peacock Harper Culinary Friends hope to host a second event and as soon as we know, you will! Keep watching for more information.